Still the only English-language guide to the Faroe Islands, covering everything from succulent fish suppers to remote hideaways, the Bradt guide is the definitive source of information for visitors wishing to discover the 18 islands of this North Atlantic archipelago. Covering hands-on information about where to stay and eat, how to get around be it by mail boat, helicopter or hire car and what to see and do, this new fourth edition has been thoroughly updated and includes details of the amazing bird life, where to walk some of Europe s least-known hiking trails, and how to make the most of village life among the turf-roofed houses. 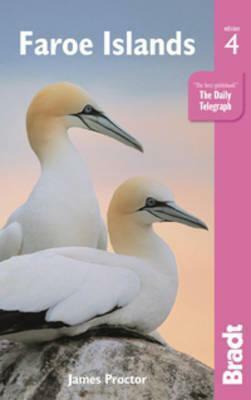 Also included are details of how to reach even the remotest corners by bus using a travel card, the latest information on falling seabird numbers in the North Atlantic, and details of where to go sea angling, rappelling and horse riding. Suggestions for using the island of Suouroy are detailed, plus updated reviews of all accommodation, eating and drinking options. Fourteen clear and easy-to-use maps are also featured."